Every once in awhile a book comes along that is so good you want to buy a box of them and hand them out to everyone you know. 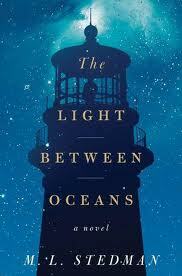 ‘The Light between Oceans” is so absorbing and beautifully written, so haunting and thought provoking. This one will surely be a book club favourite. What makes it so good is that it’s a page turner (I literally dropped everything and had to keep reading) but it also has amazing depth, dealing with morality and how the lines between right and wrong can sometimes become blurred. The things we experience and the choices we make can shape our lives in ways we could never predict. “Tom Sherbourne, released from the horrors of the First World War, is now a lighthouse keeper, cocooned on a remote Australian island with his young wife Izzy, who is content in everything but her failure to have a child. One April morning a boat washes ashore carrying a dead man – and a crying baby. Safe from the real world, Tom and Izzy break the rules and follow their hearts. This entry was posted in Fiction, Five Star and tagged M.L. Stedman, The Light Between Oceans. Bookmark the permalink. 🙂 You bet! Maybe before you leave for Thailand? Kindle or hard copy? You are bang on about this book, not only is it beautifully written but it completely absorbs you. You don’t know whose side to be on and it leaves you knowing beyond a shadow of a doubt that there that right and wrong can sometimes be foggy. Thanks for the book Mom…what a story! Beautiful writing that captured each character’s complex emotions and perspectives. I found I could relate and empathize with nearly everybody. It was quite the tear-jerker too as I expect the movie will be! Now I’m reading “Wild” by Cheryl Strayed. This truly was a heart wrenching novel…. the flaws in each character led them to make choices that they sometimes could not live with…. the tortured result impacted so many people’s lives…. such a moving and captivating story…. I also found myself glued to page after page…. many thanks for this recommendation, Joanne. Thanks for recommending this book. Although I did not shed a tear, I had to put the book down once in awhile to give myself some emotional distance from it. I did not entirely like all the characters… they were flawed and made some very poor decisions, and I guess that is what life is all about. 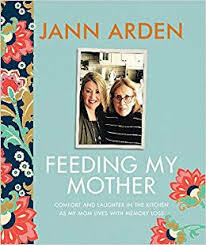 Our Book Club, JJASTERS, choose this beautiful written book as our November selection. It provided a basis for a wonderful discussion. A book we highly recommend.